It's the shocking finale of The Crow 3: Resurrection (of the 80s)! That's right, the late-90s homage to the best of 80s Cop Action Flicks Wrapped in a Crow Premise finally wraps up as we discover the secret of the bad guy's plot, establish The Crow in the familiar face-painted guise we're familiar with and find out what the hell the creature in that box is! HAHA, JUST KIDDING. Literally none of those things happen (Spoiler). All that we really learn is that you can cobble ... See More together a sequel to a movie that you don't understand, fill it with tropes and clichés from a dated and dead genre and ignore any semblance of a coherent story and 25 years later, some assholes will mock it on a podcast! We truly hope you enjoy this last part of The Crow 3: Die Really Hard. Do yourself a solid and subscribe! 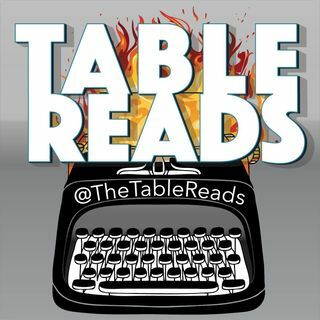 And if we're not available to subscribe to on your favorite platform, send us an email at shout@tablereadspodcast.com and we'll make it happen.